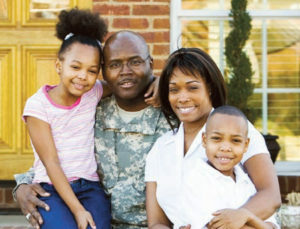 Helping individuals, including veterans, and their families, overcome mental illness, addiction, homelessness and poverty by providing housing and support services. 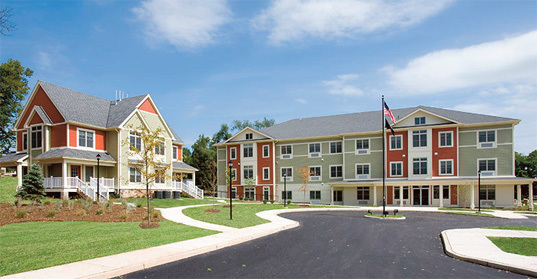 With Federal low-income housing tax credits having been awarded to complete the $15.5 million in funding needed to build Phase II of Valley Brook Village, construction of an additional 50 units of permanent supportive housing is now under construction for homeless and disabled veterans. The building should be complete and occupancy should commence by year-end 2019. With 20 veterans taking their own lives every day in the United States, many of our nation’s former service men and women are clearly facing a mental health crisis. We are aware of the struggles veterans face each and every day. In response, Community Hope recently expanded its pilot Mental Health Initiative to provide individual counseling and group therapy on-site to all 95 veterans residing at our largest facility, the Hope for Veterans Transitional Housing Program. 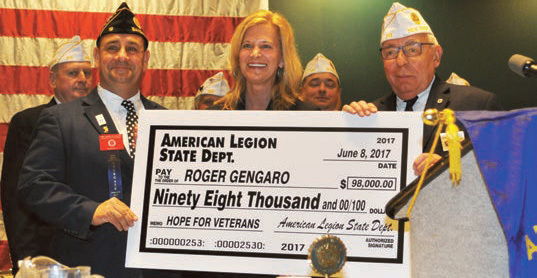 The American Legion in New Jersey helped to launch this initiative with their nearly $100,000 gift. 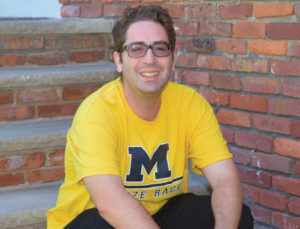 Throughout this past year, we provided housing and over 12,000 hours of face-to-face services to 160 individuals in our Mental Health residential recovery programs. Community Hope was also among the first agencies to undertake a transition to New Jersey’s new fee-for-service reimbursement system and to make the shift to more rehabilitative services for residents of our Community Support Services program. 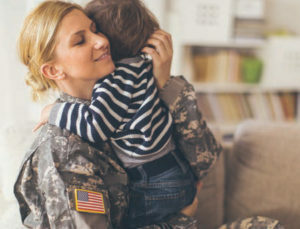 Our Supportive Services for Veterans Families Program has expanded into fifteen New Jersey counties to provide rapid re-housing to homeless veterans and veteran families and to prevent at-risk veteran households from becoming homeless. Substantial grants from The National Defense Industrial Association and other supporters assisted us in providing financial aid to these families for such basic needs as rental security, utility payments and furnishings. Last year, our staff provided more than 12,000 hours of direct face-to-face services to approximately 160 consumers in our mental health programs to support their community living. On average, 92% of individuals maintain their community-based permanent housing in our Community Support Services Program, while benefiting from the critical support we provide. Each day we provide housing and comprehensive support services for 200+ veterans in our permanent housing village, Valley Brook Village, and Hope for Veterans Transitional Housing Program. Last year’s outcomes show that 100% of veterans residing at the Village participated in case management services and all veterans maintained their permanent housing. At our largest veterans transitional housing program where 151 veterans were served last year, more than 90% of those served had positive discharges and 65%of veterans were employed at discharged exceeding the benchmark of 50%. 92% of persons served who were imminently at-risk of homelessness at admission were stably housed at discharge. 83% of persons served who that were literally homeless at admission obtained permanent housing by the time of discharge. 96% of veterans in our most recent survey were satisfied with the services they received from our Supportive Services for Veteran Families program. Award recognizing projects that have the most potential to positively affect individuals and create a significant impact in the community. Goal 2: Enhance existing mental health services. Goal 3: Enhance existing veteran services. Goal 4: Recruit and retain quality staff. Goal 5: Develop plan to manage future resources. Goal 6: Ensure effective and efficient use of resources. Goal 7: Raise funds to ensure financial viability of organization. Goal 8: Increase Community Hope’s recognition in the community. Goal 9: Ensure compliance with all legal and regulatory requirements.